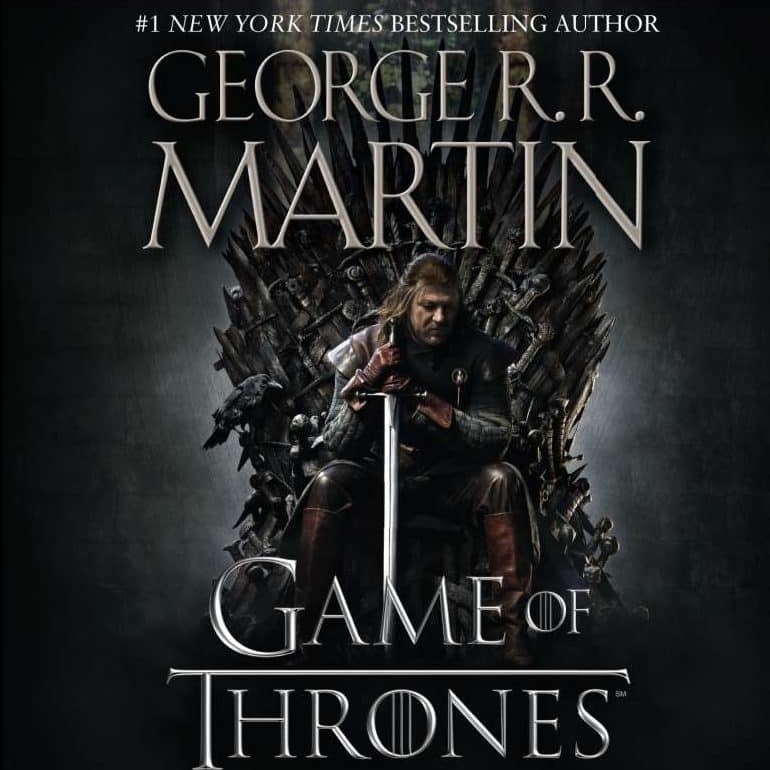 Game of Thrones audiobook (A Song of Ice and Fire Audiobooks) is a series of fantasy audiobook by American author George R. R. Martin. At the beginning of A Game of Thrones, 15 years have passed since the rebellion led by Robert Baratheon deposed and killed the last Targaryen ruler, King Aerys II, and proclaimed Robert king and Lord of the Seven Kingdoms. A game of thrones plot revolves around dynasty and fight for power. Nine royal families contend for the king’s seat in a mythical land, Westeros. The settings is obviously in the ancient world where magic is part of the weapons in securing the land. Westeros is rich in gold and suitable land for cultivation. People within the boundaries never hunger; the king’s palace and royal families in the mythical land swim in wine and royal garments. While it is the case with every other kingdom, the Westeros wealth and kingdom is unique. Every wealthy family in the country has its share in the rich lands of Westeros; the culture and warm environment within the city is luring. The generosity of the Westeros locals contradicts its leadership style. You might actually wonder why nine royal families would fight for leadership of this land when every resource is shared among ordinary men. The irony of the rich lands and vast resources is the unrest among the royals. Usually, ordinary people fight over resources. Wherever there is plenty, the rich always agree and enjoy the bigger share; this is not the case in A Game of Thrones, which makes it interesting and popular among enthusiasts of ancient stories of kingdoms. Politics and sexuality have been perverted in the land. It gets too hot for Robert, Westeros’ King at the time who seeks help from Eddard, the Lord of Stark. Despite the murder of the previous appointee by a sword while serving as a hand to the king, Eddard gladly takes up the position with a hope of neutralizing the enemies. The interesting part of this audiobook is the independence of each of the nine royal families seeking to gain leadership of the land. Swords and drama are the order of the day. Women and children live in constant fear of attack from either side. Young women are forced to gain some skills for personal protection while their husbands and brothers are away for war. The dynasty war trickles down to locals who have been leaving in peace all along. The narrator brings in the theme of politics and hatred by demonstrating how locals turn against each other with no solid reason. The powerful political influence spreads spirit of hatred on anyone with contradicting political views. George R.R. Martin is behind the thriller and exciting drama and science fiction. The renowned writer was born in New Jersey in 1948. He started his science fiction writing career later in 1970 when he was only 23 years. 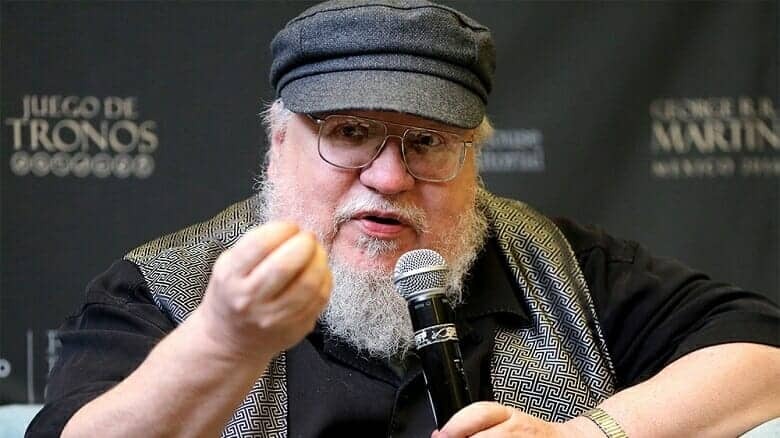 The man who gave the world Game of Thrones history is based on creative and fiction short stories that stabilized his career in writing. It was after several successful publications that he decided to focus on writing as a career. Although it was not enough to pay for his bills then, George chose passion over money. Evidently, it was a wise decision, especially after A Game of Thrones that led to his popularity across the world. Today, George is one of the topmost paid writers in the world not only in science fiction but also in short stories and creative writing. Although he passed on, it is not too late to talk about this US veteran, Roy Dotrice. He is more than a narrator of A Game of Thrones Audiobook. The man holds the Guinness World Record as the successfully playing 224 characters in another Martin’s publication. The voice behind this audiobook for 33 hours and 36 minutes if Roy’s. The success of this narrator and actor in the Game of Thrones is proof of magic in consistency and discipline. Before the publication and launch of this Audiobook, the team had faced major criticism and setbacks that would justify a stop to the narration. But Roy was too convinced on telling the world how the nine royal families battled it out for the Westeros kingdom. He remains a legend even in his death. 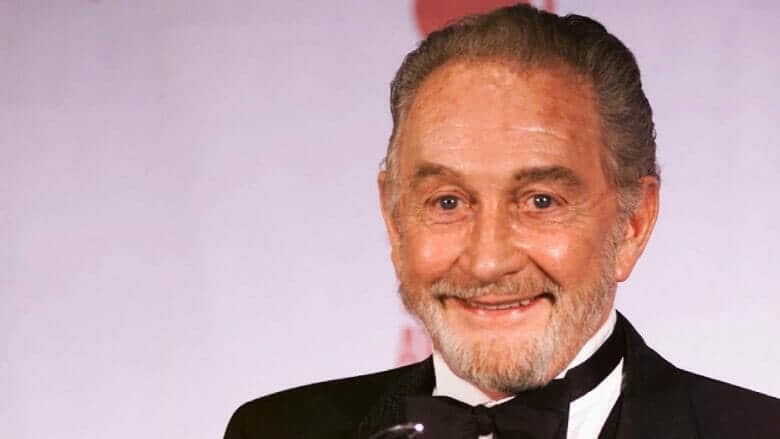 Roy Dotrice passed on at 94. First, the audiobook is available online free. If you have watched the series then you know the impact of the narrator’s sound in bringing out several themes from the author. It is an inspired voice, which is in synchrony with every scene. The first season among the eight lays out the plot of the unfolding drama of war, politics, and power. The audiobook is ranked among the top in science fiction stories. You don’t want to miss the top rated narrator on his best piece because A Game of Thrones is said to be the best done by Roy Dotrice. Soundtracks and clarity of this audiobook is incredible unlike other audiobooks produced in the 19th century. The audiobook accurately brings out the theme of win or die. All aspects of treachery, nobility, conquest, and triumph come out strongly through the narrator’s voice. As long as it may be, the story is all covered during the winter season, this is something unique about this science fiction story of A Game of thrones. The royal families with resources and power as well as dark walls that depict magic in traditional set ups combine to be the best science fiction series. Anyone else wish this was narrated by someone else though? Roy Dotrice makes every character sound like they’re 100 years old, it’s so distracting and off-putting. Would have been amazing if they had cast Charles Dance or Iain Glen for this instead. Just a thought. Otherwise really glad I found these audiobooks. Thanks again. A Song of Ice and Fire Book 2: A clash of Kings Audiobook was updated! Awesome!! Can’t wait for the rest of the series to get up here 🙂 Thanks! The beginning chapters are off, and skip big sections. Thank you so much for the upload, hopefully this can be resolved! Hi, the audio towards the end of each chapter gets cut out and you end up missing large chunks of the story. Really? I need check.Plz tell me what parts are missed?